I am sure you are like me that after having kids celebrating Valentine's Day is a little different. For me different is a good thing. Our family likes to celebrate our love for each other. For at least the past 5 years we have had the tradition of ordering a heart shaped pizza from Lou Malnati's, getting our favorite sweet treats and watching a family movie together. This year Valentine's Day is on a Saturday. I purchased this bar cart back in December at Home Goods. It was calling for a fun Valentine's Day treat bar! I took my favorite accessories, a wood frame that I made into a chalkboard a few years back and spent about $15 at target getting various candy and treats. Creating a candy bar or treat bar to celebrate your loved ones, is super easy but a fun way to enjoy Valentine's Day! How does your family celebrate Valentine's Day? Men and women are not mind readers. This is one huge piece of information I would love to give all couples. Another piece of advice? Share your hopes and dreams, and this includes jewelry! Ladies, a hint never hurts. If you are wishin' and hopin' and thinkin' and prayin' for diamonds, let 'em know! And no, I am not talking about demanding a gift, I am talking about subtly informing them of that sparkle on your wish list. Hint: If you have kids, get them in on the hint dropping. You can draw pictures together of your favorite jewelry, and maybe, just MAYBE, they can share them! This Valentine's Day, Helzberg Diamonds is hosting a fabulous Hint Like You Mean It Sweepstakes with a chance to win a $1,000 Helzberg Diamonds Gift Card or a STARRA Diamond Pendant (retail value $549.99). Whether you prompt your partner to enter or take fate into your own hands and enter yourself, this is one prize that is sure to put a smile on your face. Hint: Show your significant other some social media love by posting your picks to Instagram or Twitter with the hashtag #HelzbergHints. In addition to the sweepstakes, why not take a peek at their Valentine's Day Gift Guide? They have some gorgeous pieces starting at just $29.99. Here are my top picks- I have already pinned them to my personal "Gift Guide" on Pinterest. Hint: Create a gift guide for yourself on Pinterest and go crazy! You can send the link to your significant other and update as sparkly items catch your eye. I adore this simple Heart Bar Necklace in 10K Gold. Bar necklaces are such a popular look, and you can easily layer this with existing pieces. How about showing some love for your home state? Keep it close to your heart with this Heart Cutout State Pendant in 24K Gold over Sterling Silver. Want something a little different? How about BLUE diamonds? These beauties are adorned with 58 round single cut blue diamonds to put a smile on your face. Make sure to head to Helzberg.com/sweeps and enter to win amazing prizes, and share it with those you love! This contest ends on Valentine's Day so don't delay. How do you drop subtle (or not so subtle!) hints to your honey? Let us in on the secret! Disclosure: I was provided with product from Helzberg Diamonds as a thank you for writing this post. All opinions are honest and my own. 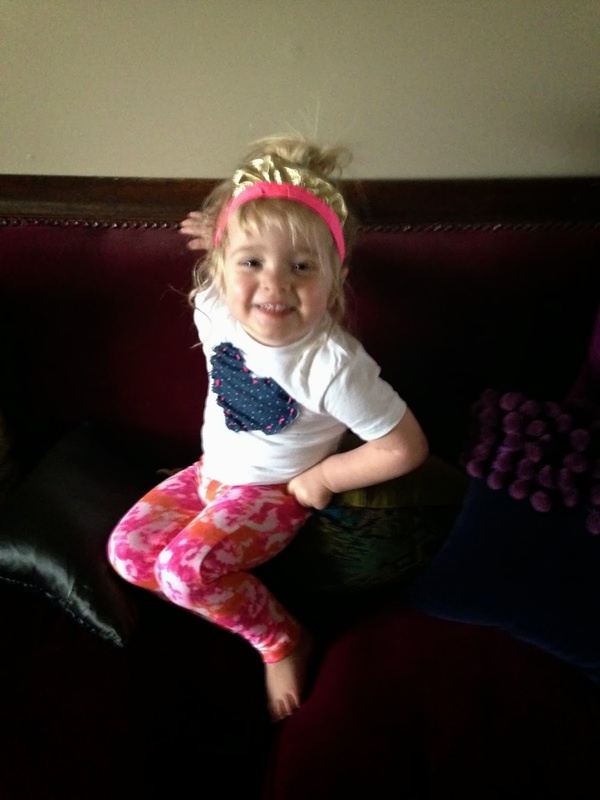 I love hearts… do you? Of course Valentines Day brings us hearts but just the same, I love hearts any time of year. As an accessory designer, I am always coming up with new and creative ways to add the special details. 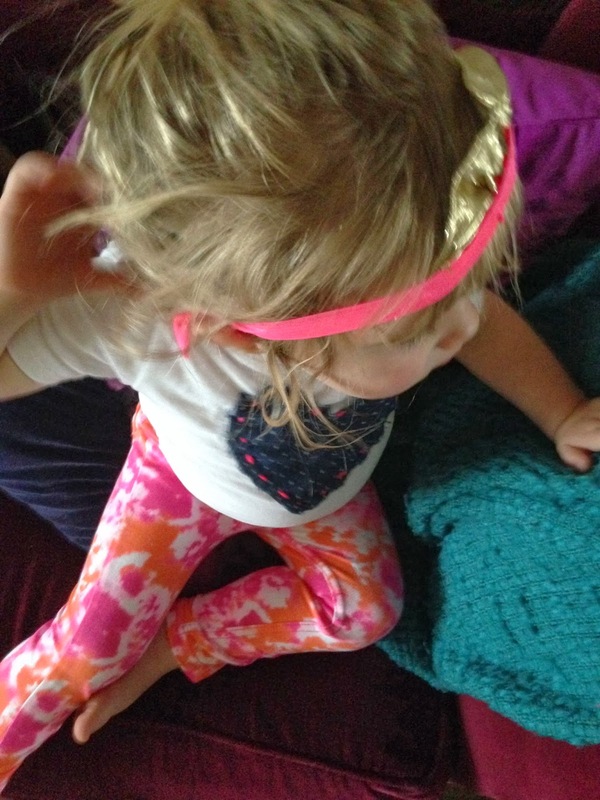 I decided this year I would focus more on sharing some fun up cycled fashion and diy accessories with you. 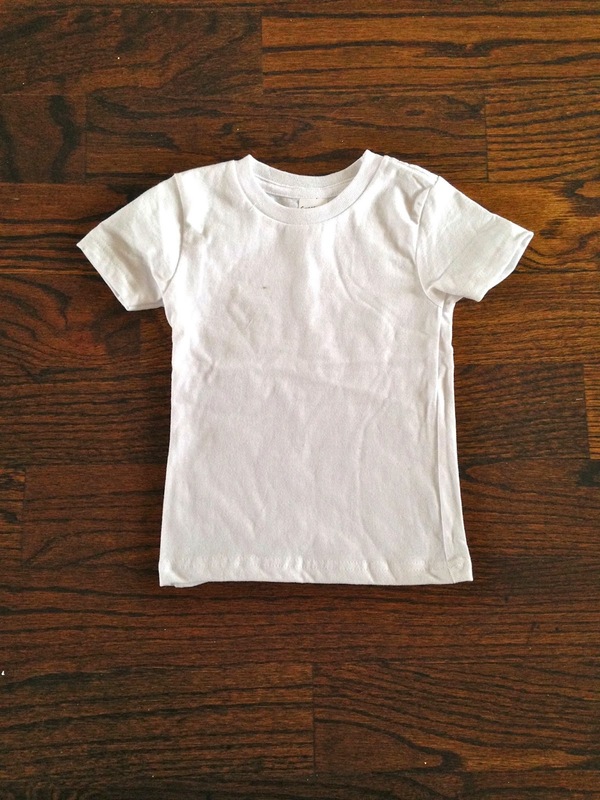 First off… this adorable heart t. Everyone loves a little white t right? 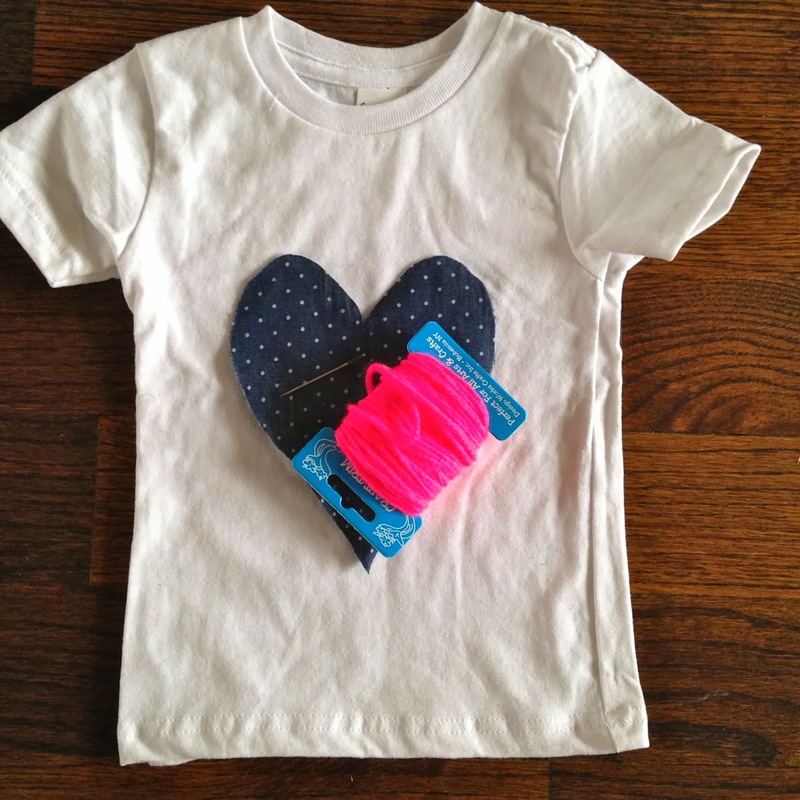 I had the idea to use a fun fabric, cut out a heart and stitch it with a bright neon yarn. It looks constructed, whimsy and not to mention adorable stretched over a baby belly. 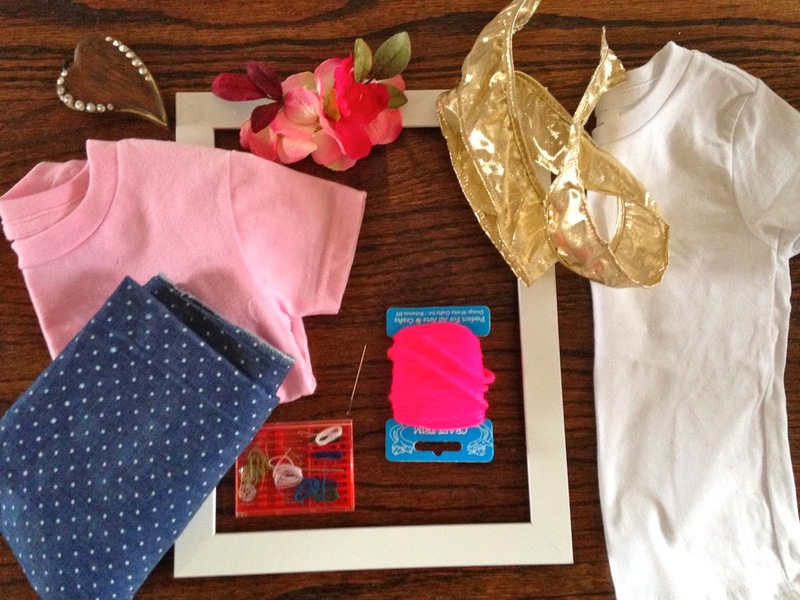 Here is what you will need to make this sweet mini t. I went to Hobby Lobby grabbed a basket and threw in a white & pink t, a neon colored yarn, yarn needle, a cute cotton fabric, and a fun metallic trim for the headband. PS. 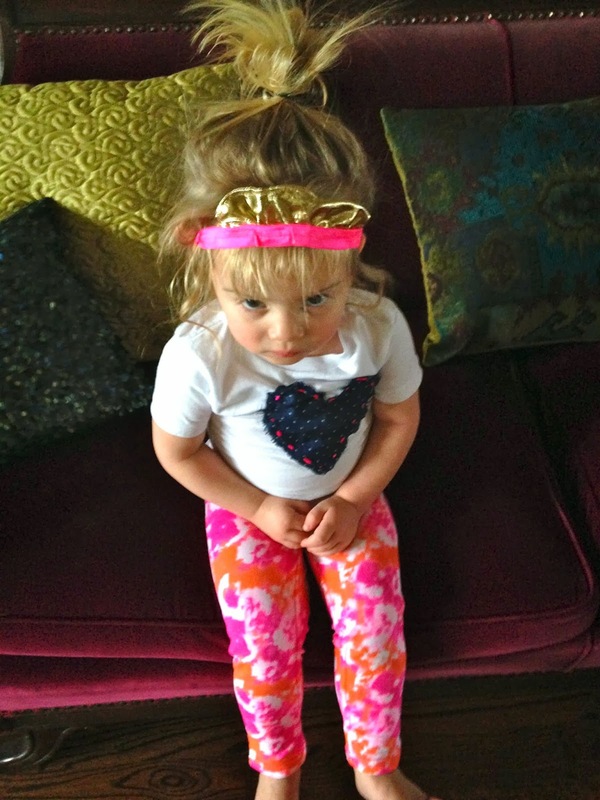 the tie dye neon leggings are from Walmart and the floral frame is something new in my shop. 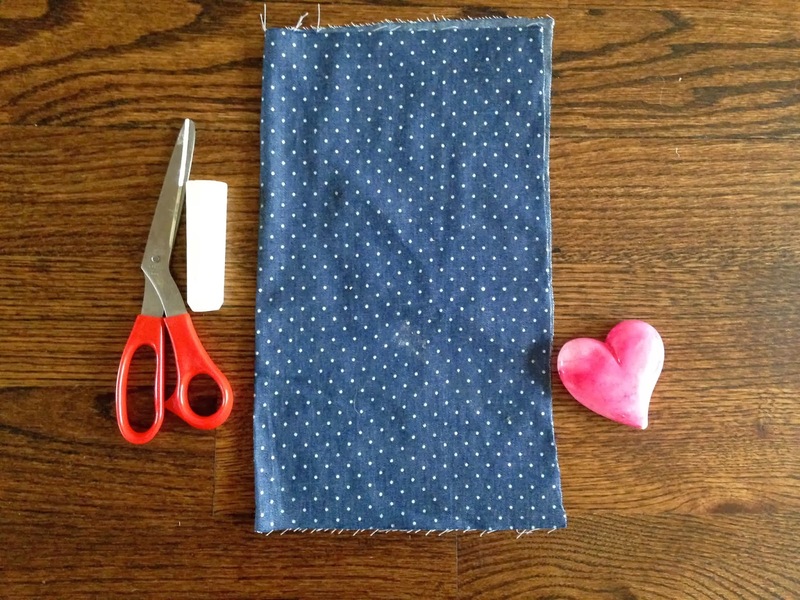 For this next step you will need to take your fabric and fold it in half. 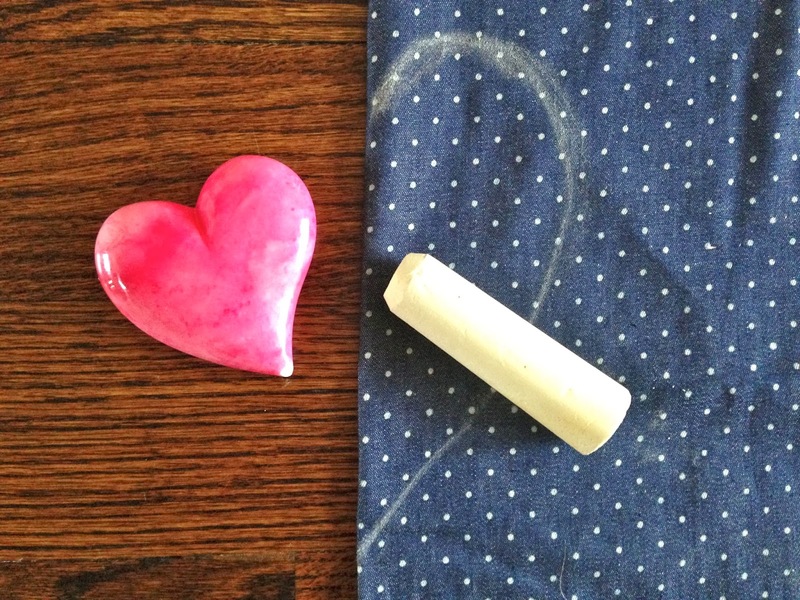 Then I used chalk to draw a half heart shape on the fabric to then cut out. Once your heart is cut out, you will place it on the front of the t. I angled mine just a bit, but you can choose if you like it straight on better. 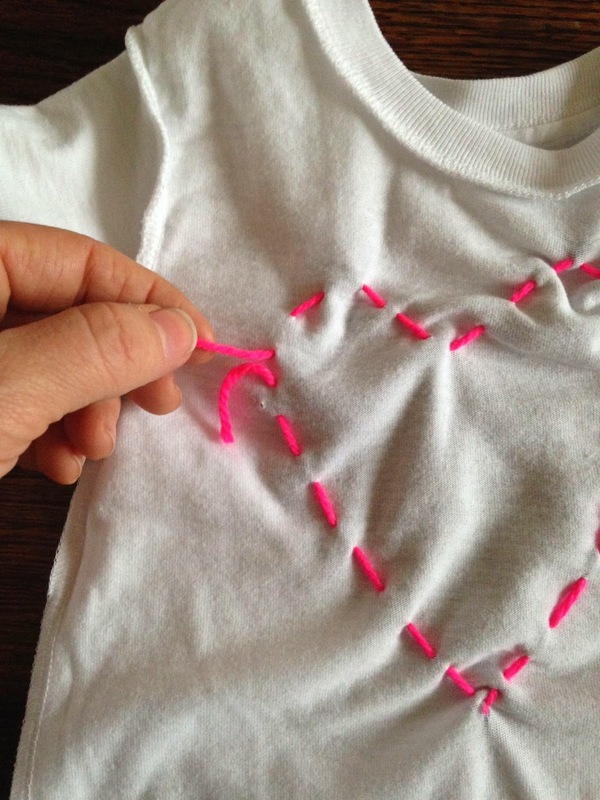 You will then thread your needle and begin stitching the heart down to the shirt. 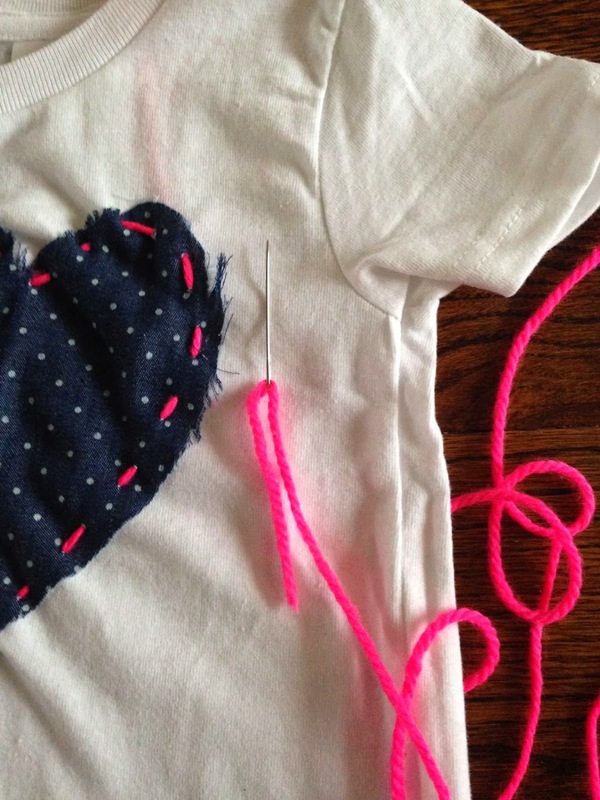 It doesn't have to be perfect, just stitch in and out all the way around the heart until you get back around to the start of the stitching. Turn the t inside out and tie the string in a triple knot. Once you do that, flip the t back to the front and you are almost done. 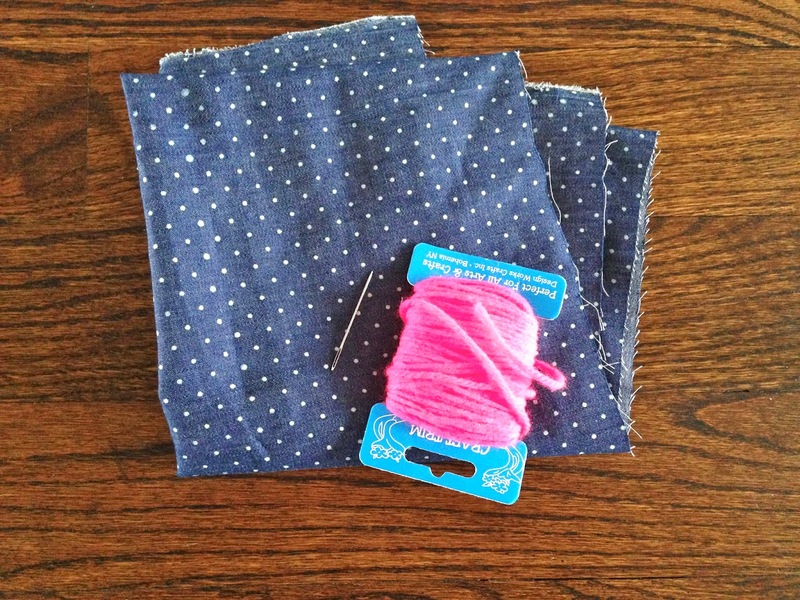 -Take some fraying jell and go over the edges of the fabric to keep it in tack. 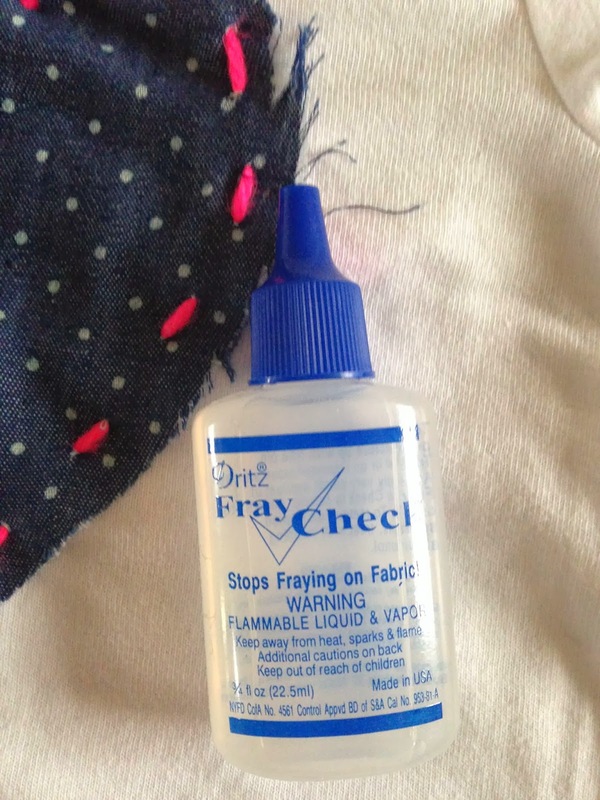 -Pre- wash the fabric and iron it using a scotch guard spray to tighten up the fibers. -After completing, make sure to wash it inside out. With Valentine's Day next week, I thought it would be fun to do a little craft with my daughter since she loves to paint (and make a mess). Push down the center of the tube with your fingers to make a heart shape. It is okay if the heart isn't perfectly shaped. 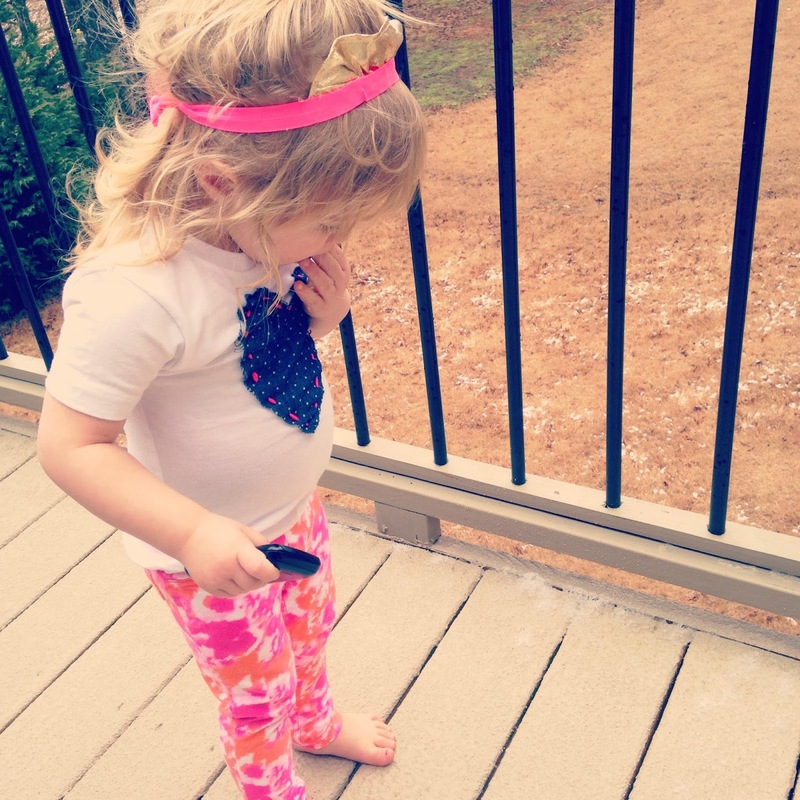 Dip the heart end into the paint and have your little one dab away. 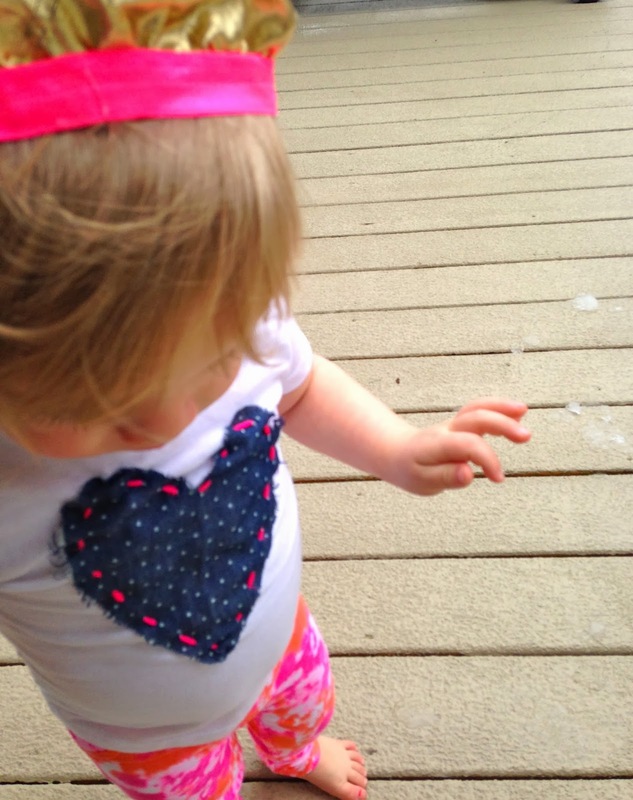 Little ones might need help with having to push hard on the paper so a full image of a heart appears. 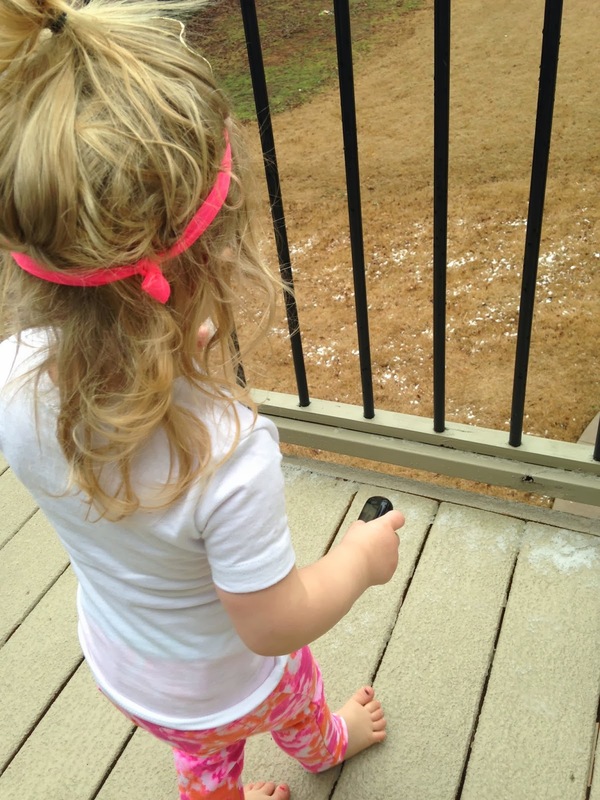 Stamping is a fun way for kids of all ages to create a work of art. Results will carry greatly depending on the age of your children. Now we have the perfect little piece of toddler art work to put into a frame and display for Valentine's Day.